Excel Recruitment is delighted to have retained to recruit a Procurement Manager for one of our long term clients operating in the food and services sector. Our client has the strength of a major global business while embracing the entrepreneurial spirit of a startup. There innovative products and services have ensured a major market leader today in Ireland and around the world. Today, they are building on that strong history of success -growing the business through the delivery of excellence and innovation. What does it mean to work here. . .
Their Mindset: They put customers first. They know they succeed only when their customers succeed. Customer success is a priority, along with working in partnership with them. The organisation: They work as One. They collaborate across their global enterprise. In an increasingly competitive marketplace, no single product, group or unit succeeds on their own, no matter how remarkable they are. Our client harnesses its global footprint to work as one. Their People: They recruit for brains and heart. They are industry experts who foster great relationships with colleagues and customers. They value technical knowledge and experience, alongside business insight and people smarts. They nurture both the hard and soft skills of their talent. Their Leadership: They lead. They take ownership. They lead from all levels. They value the opportunity to grow, as a business and as people. Their promise: Grow with the Best. They grow the best. This is a workplace that nourishes talented people. This is a great business to work for. The Procurement Manager executes the strategy and sourcing activities across the companies facilities division. In addition, this position analyses, plans, tracks, and reports on all assigned products to meet established customer service goals and product volumes consistent with specific inventory and/or contractual obligations and objectives. 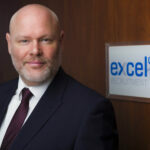 Barry Whelan, CEO of Excel Reruitment is handling the recruitment of this Procurement manager job. If you are interested and have the skills and experience required, please apply below or call 01-8148747 in strictest confidence.